Check out my interview, Expert Advice on Fences on GeorgiaStateHomes.com, one of the top sites for Georgia Realty, including Marietta, GA real estate. Georgia State Homes also services Concord, North Carolina real estate and Fort Lauderdale, Florida homes for sale. 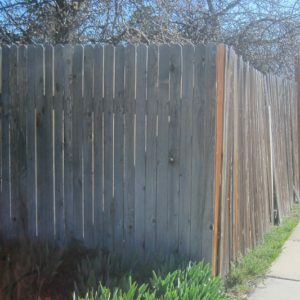 The intent of this article is to help their customers evaluate fencing considerations during the home buying process. The information included perspectives on evaluating fencing needs, guidelines of costs, and materials options. 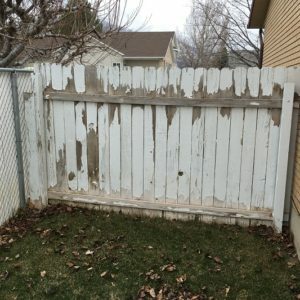 The saying goes, “a fence is only as strong as the post that supports it.” A post that has rotted, has started leaning, or has warped and twisted could mean hours of work and possibly hundreds of dollars to replace. Most posts are set in concrete making replacement much more difficult to swap out than rails and pickets. The wall thickness of a Trex post is four times greater than vinyl. Consumers are turning to wood-alternative post options that require less maintenance. 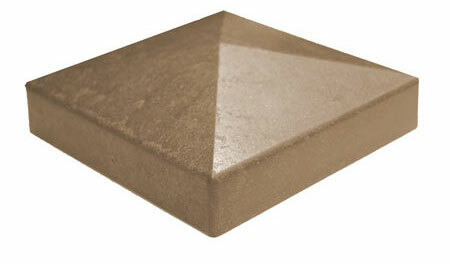 Most commonly, galvanized steel, vinyl, and composite posts are used. 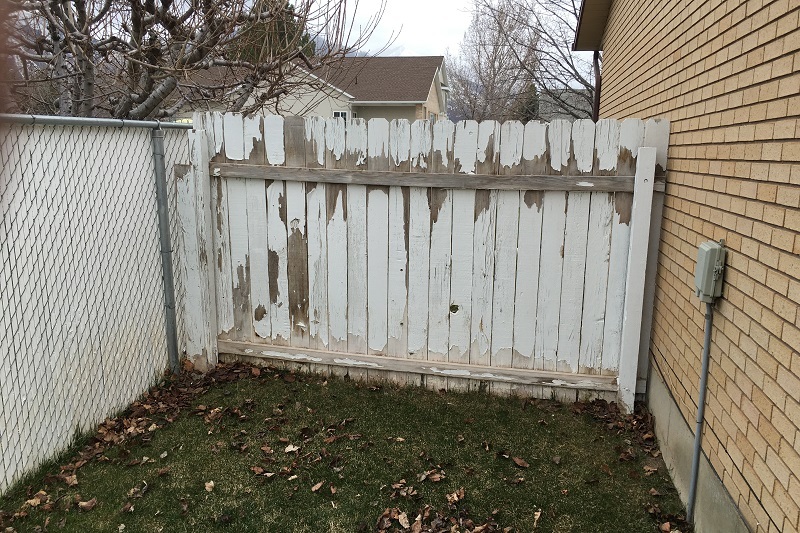 From a durability and strength standpoint a steel or composite post are the best options, but the composite post adds the virtue of a natural, sturdier appearance that is more compatible with the look of a wood fence. It is also an outstanding compliment to other materials, particularly ornamental fencing (see a write-up and pictures on this option). 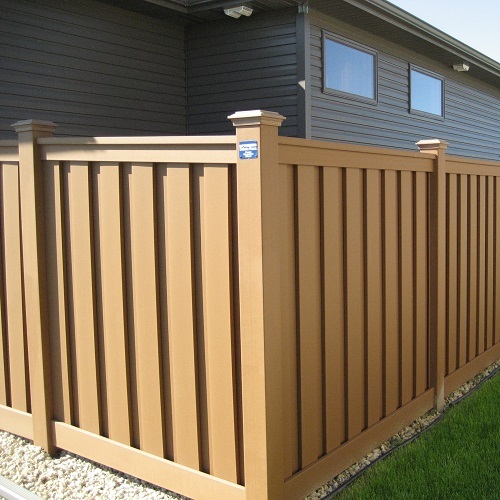 Trex® leads composite manufacturer in fencing and offers the perfect post for any fence design. 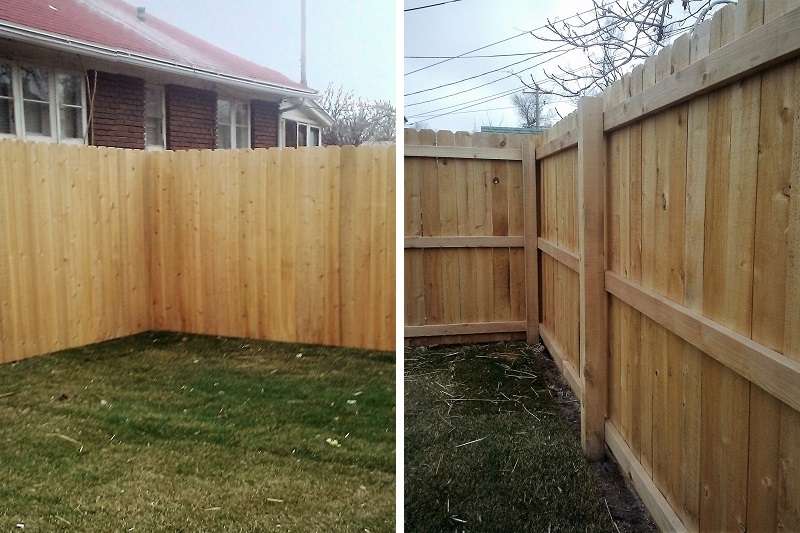 Trex® manufactures a self-supporting 5″ x 5″ wood composite fence post. 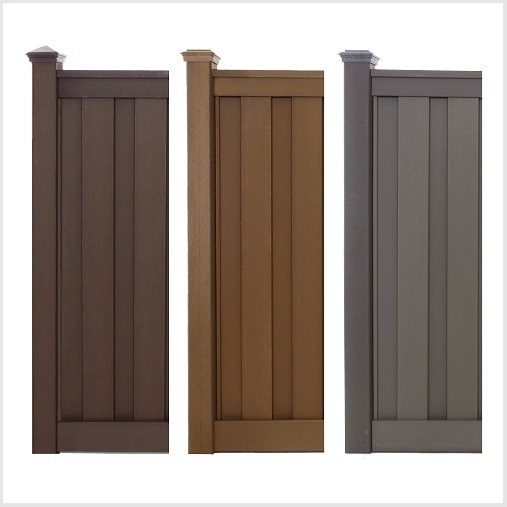 It’s offered in three color options and is produced in 8 ft., 9 ft., and 12 ft. lengths. 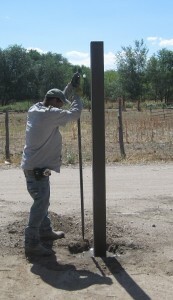 The 8 and 9 ft. posts are most often used with a 6 ft. tall fence since that is the typical height nationally. 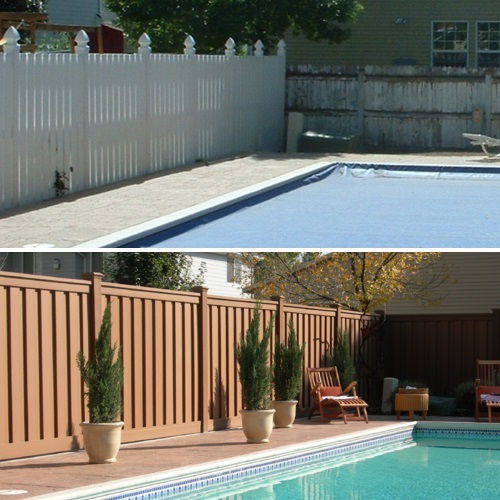 The 12 ft. length provides the option of a taller fence or to help with steep transitions from an up-slope section to a lower section. 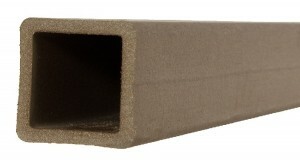 From a cost savings standpoint, a 12 ft. post can be cut in half and used for two sections of fences under 48″. 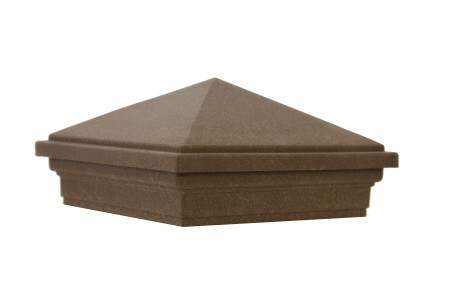 Three post cap options are available: flat top, pyramid, or crown. Setting a Trex fence post in concrete. The 8′, 9′, and 12′ lengths of the posts provide flexibility before being cut to the determined height. 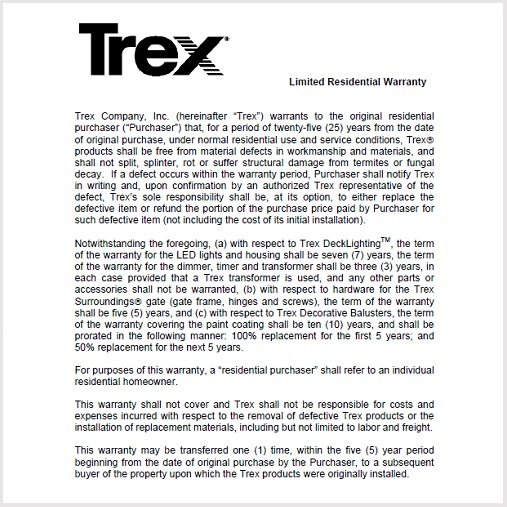 Property owners will love the Trex® 25-year residential and 10-year commercial product warranties. If installed properly, a customer can expect the post to last years without ever needing maintenance. 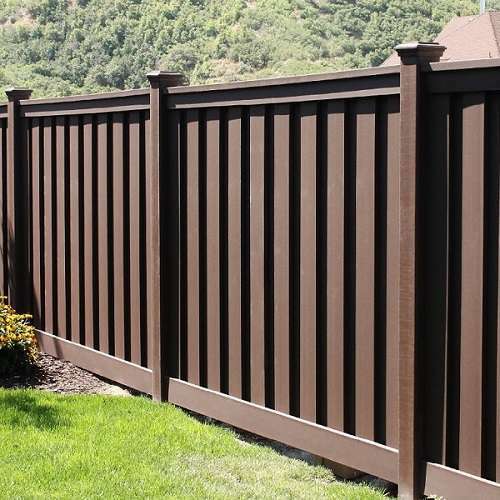 Even if a customer prefers to stick with wood rails and pickets, the Trex® fence posts is an excellent wood-alternative choice for stockade (dog-ear) or custom wood fence designs since it is similar in shape and size. 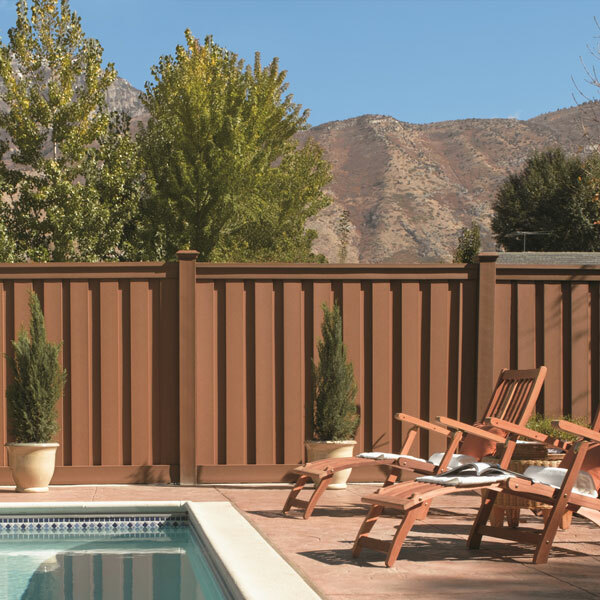 If you are located in hot humid areas like Florida or Texas, in cold environments with deep frost lines like the Rocky Mountains or Canada, or even in the dry deserts of Arizona and California, Trex® fence composite posts are capable of handling any climate. 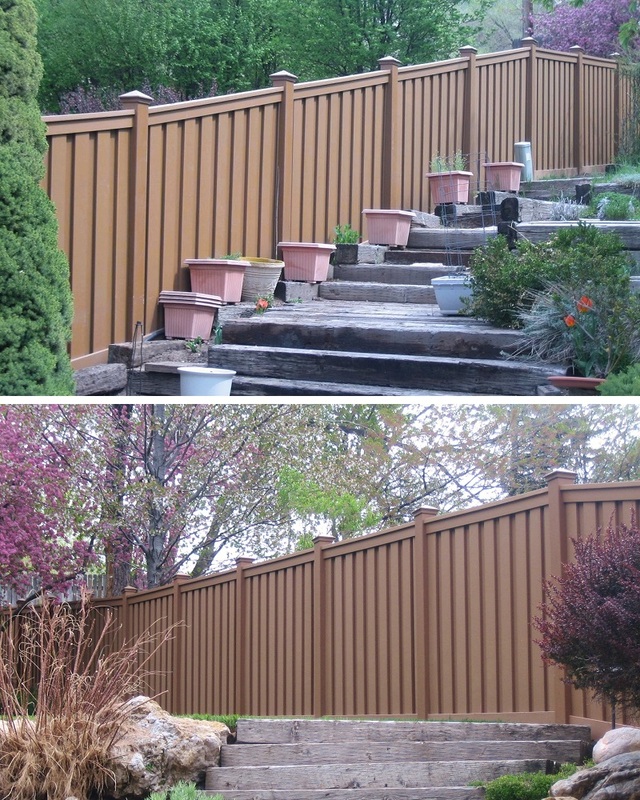 Next time you need a fence post, think of using Trex® composite posts.  We are asked periodically to describe where Trex fits in the fencing market. Like any industry, there are unique elements that define the space we work in and how it is relevant to consumers. I thought it might be helpful for those that are looking for a very basic overview of the Trex fencing relative to market sectors. Note that this isn’t meant to be a comprehensive study, just an overview. 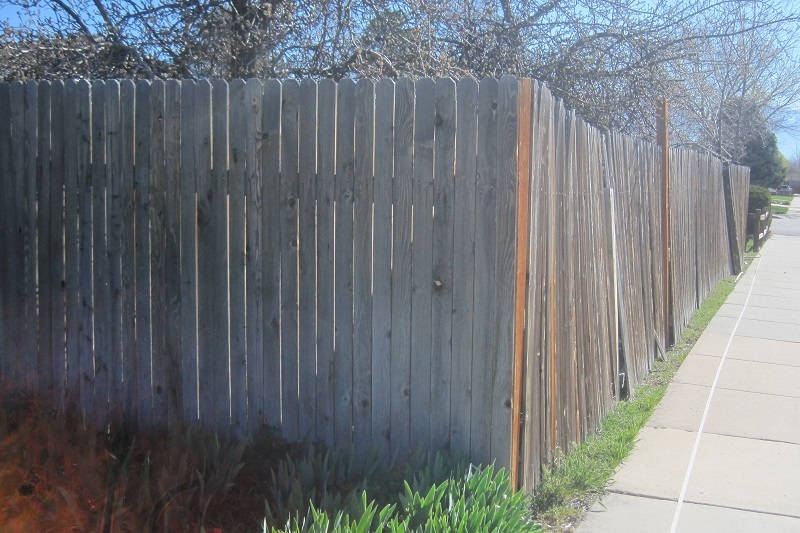 Fencing typically functions as a barrier and is often used to define space within a property or on a property line. However, most buyers also take other considerations into account such as privacy, maintenance, durability, and aesthetics. Residential: A basic chain link fence is the default for a buyer that is only looking for security or enclosure. 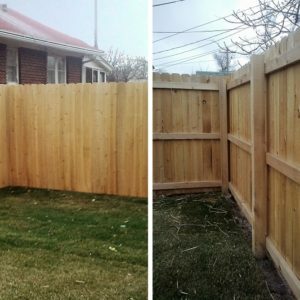 For privacy, a simple structure such as a stockade wood fence might be purchased for its low cost but without much consideration for maintenance, durability, and aesthetics. 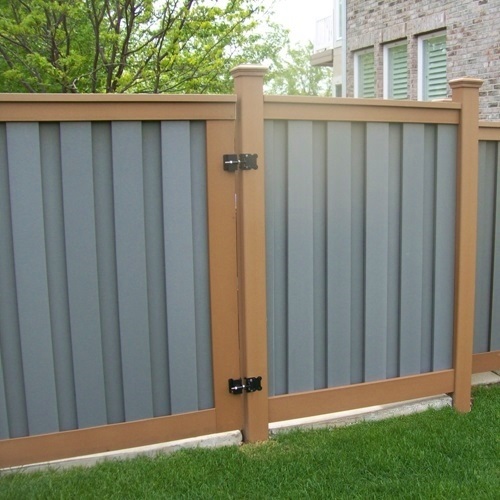 An ornamental metal fence addresses the need for protection and is an attractive option, however it isn’t meant to provide privacy and usually requires maintenance. 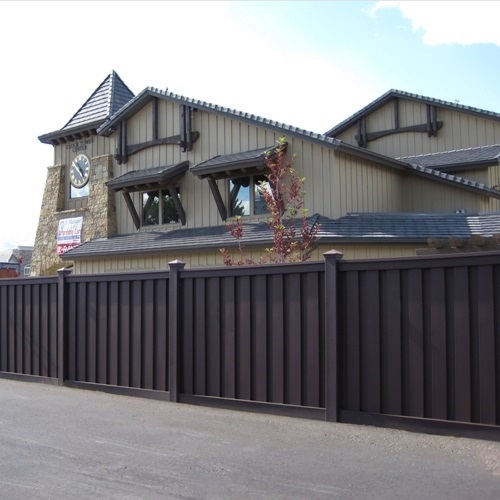 Manufactured fencing such as vinyl and composites are newer generation products that require less maintenance while also focusing on design and appeal. Vinyl is usually more expensive than wood but requires very little maintenance. However, durability and appearance are often issues. Composites are typically more expensive options, but are also the most durable, have a wider variety of colors, and have several additional benefits. Government/Light Commercial: Traditionally, commercial barriers have been made of masonry. However, aesthetics and costs are increasingly used as considerations when selecting a product. For example, if the commercial property backs onto a residential community, the compromise between the homeowners and the commercial property owner is to put a product in that requires little maintenance and provides privacy. 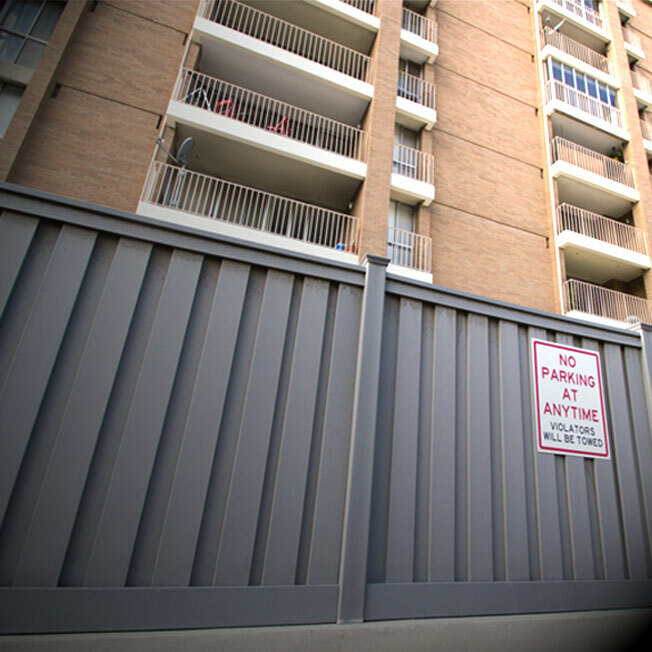 A commercial property owner may also want to hide an unsightly area (such as space for utility equipment) with a more attractive option like a composite screen or gates. Costs are always a consideration, but commercial owners are also looking for durability in the same way as low maintenance requirements. 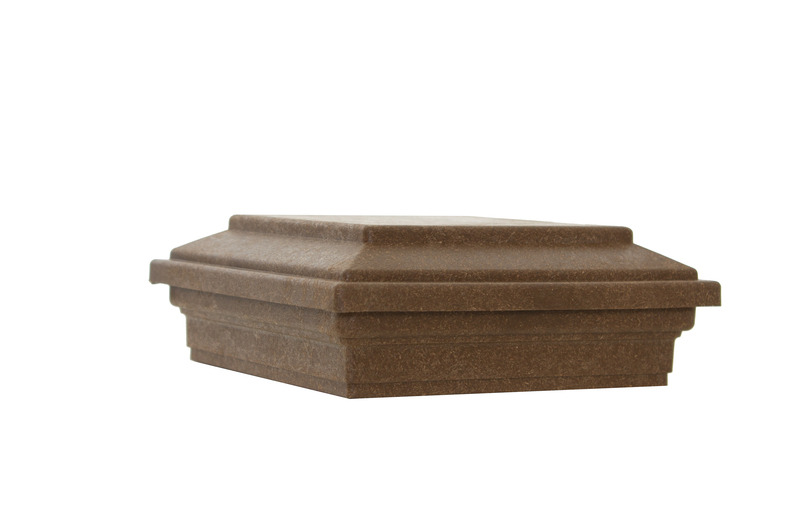 Increasingly, composites and simulated masonry are being specified for these types of properties. Government/Heavy Commercial: Heavy commercial properties usually lean towards masonry, chain link, or architectural steel. Privacy is less of a concern than security. However, government properties vary significantly from material/equipment yards to community walkways. Wood or lower gauge chain link was traditionally used for space where government properties are mixed in with public community, residential, or light commercial areas. Now, with cost management increasingly an issue for federal, state, and local entities, planning and purchasing officers are looking at low maintenance alternatives. Usage of composites, plastics, and other manufactured products are on the rise. Again, considerations such as costs, durability, and aesthetics inform the decisions for the selected products. I hope there were insights here that were helpful for you. Give us a call or email us if you have additional questions.